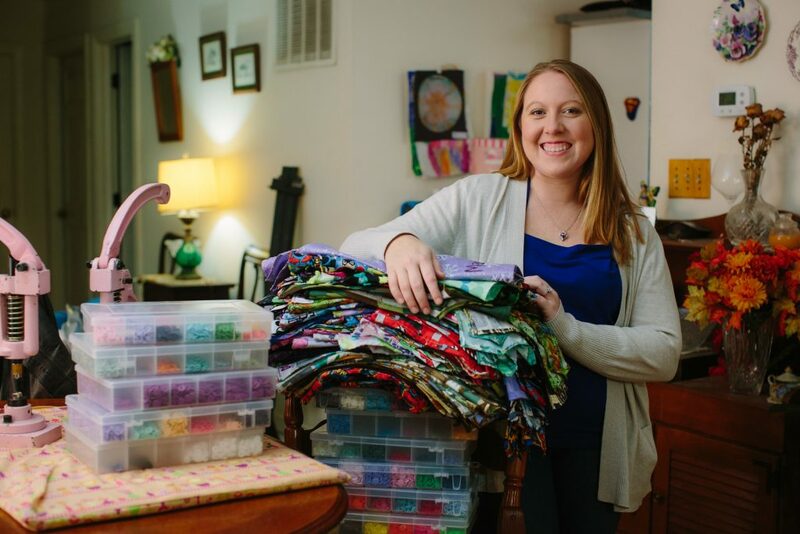 Jessica White, the founder of Gracie’s Gowns, was first inspired to create her organization when volunteering on a rescue squad seven years ago. Throughout her experience as a medic in medical transport and pediatric critical care, she realized how many children were transported naked or uncomfortable wearing adult hospital gowns. While many gowns didn’t fit, many other children would have allergic reactions from the chemicals used in the hospital laundry rooms. According to White, a Liberty University alumna, Gracie’s Gowns is a faith-based mission that provides custom hospital gowns to children with chronic and life-threatening illness. These gowns are made to make children feel comfortable, functional and safe. Each gown is personalized with the child’s favorite pattern and their names embroidered along the bottom. According to White, she always had a passion for children, sewing and non-profit work. At the time, White did not possess the skills to create an organization on her own. Because of her busy schedule, White was not able to attend college residentially and started looking around for online programs. After graduating from graduate school in 2018, White turned her hobby for sewing into acts of ministry and dedication. White’s friend, Crystal Oughton, lost her daughter from a hard battle of against a neuroblastoma, a cancer that attacks nerve tissue. Through that experience, White decided to dedicate her organization to Oughton’s daughter, Gracie. White enjoys working from home. She is able to spend time with her husband Brandon as well as her four children, Aubrey, David, Madeline and Alaina. By working from home, White is able to organize fundraisers for her organization and even personally deliver gowns to children and their families. CUSTOM — Gowns are made from colorful material of the child’s choice, and often sent with a care package. The Klosowki family recently posted a picture of their nine-month-old daughter Tasmin, in the hospital wearing her personalized Gracie Gown. Tasmin suffers from a life-threatening illness called Tuberous Sclerosis Complex. Throughout her many trips to the hospital, the Klowsoki family realized that Tasmin was uncomfortable in the hospital gowns that were provided. The Klowsoki’s found out about Gracie’s Gowns through a Facebook friend who had gotten a gown for her son. The Klowsoki family is thankful they were able to find Tasmin a soft gown that was easy to snap on and off for her comfort. More information can be found on the Gracie’s Gowns website.